Most people think of remodeling their bathroom as a vanity project. The truth of the matter is, however, that bathroom remodeling isn’t just about luxury upgrades. 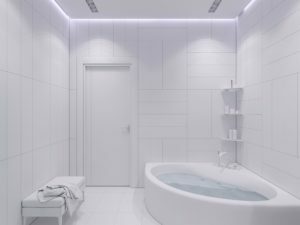 Remodeling your bathroom is, in fact, necessary to protect your home and can provide several cost-cutting benefits, as well. 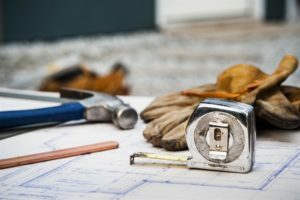 If you’ve been thinking about replacing your old shower stall or putting in a new sink, here are four reasons you should definitely invest in a remodel sooner rather than later. There’s a lot that can go wrong with a bathroom, and, most of the time, you don’t even know about it until it’s too late. With as many pipes as the average bathroom has running through the walls and under the floor, there’s always a good chance that there’s water leaking into your house’s hidden spaces. If left unchecked, these leaks can damage the walls, floors, and foundation of the house or lead to toxic mold. By giving your bathroom a full remodel, you can observe the plumbing for yourself, and then find and address any potential issues before they become much bigger problems. Most people think of bathroom remodels in terms of how much they will have to spend, as opposed to how much they’ll save. While it’s definitely important to consider the cost of renovating and to always stay within your budget, remodeling is also the perfect time to refit your bathroom with more water and energy efficient fixtures than the ones you currently use. Using newer, more efficient shower heads, sinks, and other bathroom accessories could potentially save you a lot of money in the near future. Another reason to seriously consider remodeling your bathroom is to add additional value to your home. Like any other room in the house, a bathroom with new and modern fixtures and renovated plumbing makes a home worth more. Adding value to your home is beneficial in a couple of ways. First, it allows you to sell your home for more than you bought it, potentially earning tens or hundreds of thousands of dollars. Second, the more a home is worth, the more money can be borrowed against it. In the case of bathroom remodeling, putting money in is a great way to get even more money out. Is your bathtub too small to use comfortably? Does the positioning of your sink or cupboards make using the bathroom an awkward experience? Chances are there’s something about your bathroom that annoys or perplexes you; why keep putting up with the problems in your bathroom when you can change them? Remodeling your bathroom gives you the chance to get the bathroom you want, not the one you’re stuck with. Ready to start remodeling? American Bath Enterprises, Inc. has a full selection of top quality shower stalls and bath kits, including ADA-compliant baths and showers for senior citizens and people with disabilities. For more information, contact us today at 888-228-4925.